Rev. Charles Simpson is the Trans local authority who has volunteered to serve Covenant Life Fellowship and offer leadership at this time. Charles Simpson is no stranger to North Louisiana. To our knowledge he was the first to bring the Charismatic dimension to North Lousiana in the mid 1960's outside the Pentecostal Churches. He became one of the leaders of the Charismatic movement. Out of this movement the Holy Spirit restored the Holy Spirit gifts to the Church. Brother Charles has become a spiritual father to many since that time. Charles Simpson is an internationally known Bible teacher, author, and pastor. He has been In ministry since 1955, he was ordained as a Southern Baptist pastor in 1957. 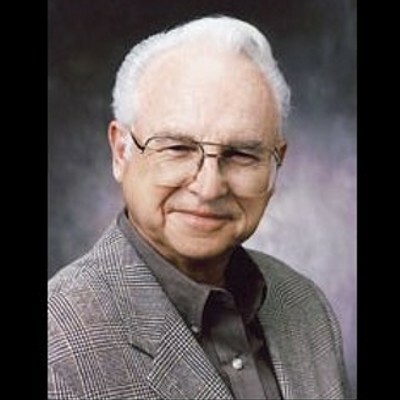 While serving as Pastor of Bay View Heights Baptist Church in Mobile, Alabama, he was filled with the Holy Spirit in 1964, and was a pioneer of the Charismatic Renewal Movement. He became an internationally known teacher and conference speaker and was associated with Bob Mumford, Derek Prince, Don Basham and Ern Baxter. During his 57 years of ministry, Charles has traveled more than three million miles preaching, teaching, and planting churches. He was instrumental in bringing one-to-one mentoring into the church. He was part of the original editorial board of New Wine Magazine and presently serves as Editor-in-Chief of One-to-One Magazine. In 1973, he and the team leaders with him founded Covenant Church of Mobile. Charles serves on the board of Integrity Media and is Chairman of the Board of CSM (Charles Simpson Ministries). He is author of numerous books including The Challenge to Care, Courageous Living, Take Your Hat Off Son!, and Ants, Vines and Churches. He also has served as editor for The Covenant and The Kingdom Bible Study Curriculum and contributing editor for The Spirit-Filled Life Bible.